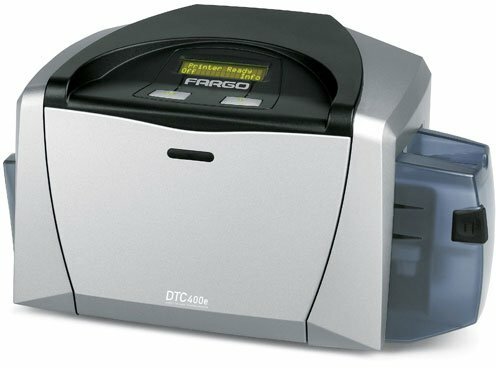 The Fargo DTC400e is designed to give your organization exactly what it needs: a professional, modular card printing system that's versatile and easy to use. The DTC400e features dual- or single-sided Direct-to-Card printing of photos, barcodes and digital signatures. An all-in-one ribbon cartridge combines the printer ribbon and card cleaning roller into one cartridge, eliminating the hassle of hard-to-load ribbons, separate card cleaning mechanisms and confusing indicator lights. Share your DTC400e in a network setting using the optional Ethernet or internal print server. The DTC400e is ideal for small- to mid-sized businesses, K-12 schools, regional and local government agencies, membership and loyalty clubs, events and more. 400E Top Cover Replacement. This part is also known as 054308. The Fargo 54173 is also known as Fargo Electronics	54173	.